Vector-Ban is a misting insecticide and a long-lasting livestock and premise spray that provides knockdown, broad-spectrum insecticidal effectiveness and excellent residual activity at an economical price. 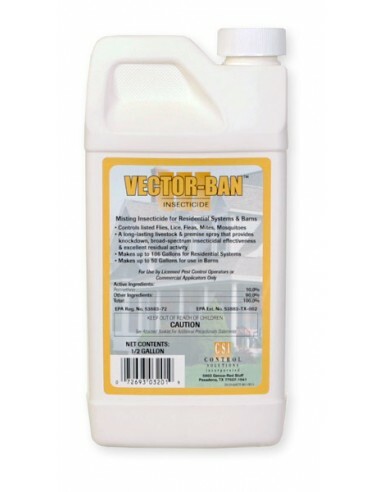 Vector-Ban Misting Insecticide for Homes & Barns controls listed flies, lice, fleas, mites and mosquitoes. Vector-Ban is a long-lasting livestock and premise spray that provides knockdown, broad-spectrum insecticidal effectiveness and excellent residual activity. Makes up to 106 gallons for residential systems. Vector Ban Dilution Rate: Apply .5 - 3.5 oz in 1 gallon of water. See directions for additional uses. Use Vector Ban to help prevent infestation of buildings from listed insects, treat the building foundation to a height of 2 to 3 feet, where pests are active and may find entrance. Also, apply as a residual spray but not to the point of runoff to outside surfaces of building, including porches, screens, window frames, eaves, patios, garages, refuse dumps and other areas where these pests congregate or have been seen. 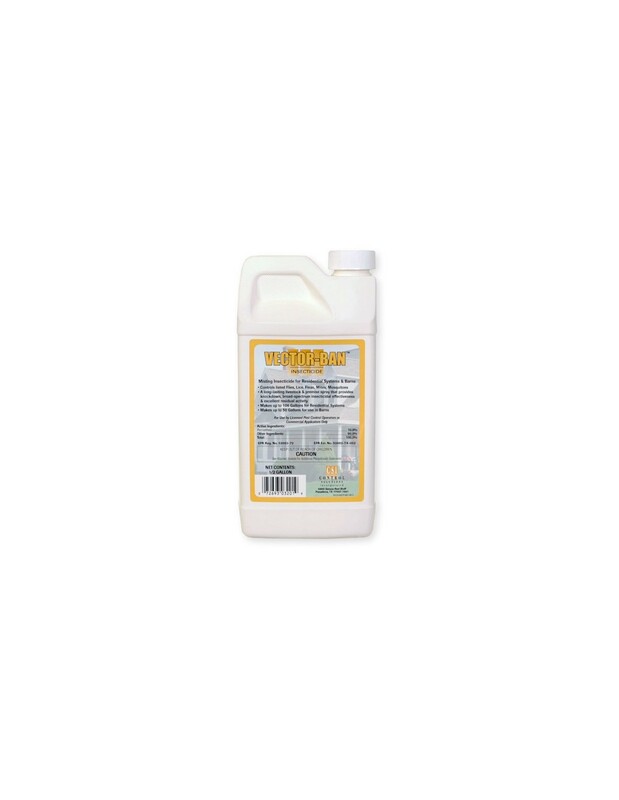 Use this product for treatment of localized infestations of insects in areas where there are weeds or bushy non-crop areas, spray infested areas thoroughly. For ants, thoroughly wet hills and runways. Repeat application as re-infestations occur. To reduce annoyance from: Cluster flies, Flying moths, Gnats, House flies, Mosquitoes. Spray outside surfaces of screens, doors, window frames or wherever these insects may enter the room. Also use on surfaces around light fixtures on porches, in garages, around shrubbery, and other places where these insects alight or congregate. Makes up to 106 gallons for residential systems and up to 50 gallons for use in barns. Just pour this 1/2 gallon jug into your 55gal drum, fill with 50 gallons of water and its ready to go! Works great with misting systems as well as fogging machines. 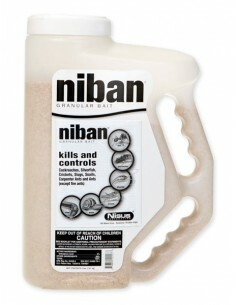 Use to control, or reduce the populations of mosquitoes, flies, spiders and nuisance pest insects. System nozzles and pressure should be able to deliver a fine particle droplet size (ULV, mist or aerosol). If the system works on an automatic timer, set the timing for application when people, pets, and food are unlikely to be present. Mix 6 fluid ounces Vector Ban per 10 gallons of water. Vector Ban Manufacturer: Control Products, Inc.